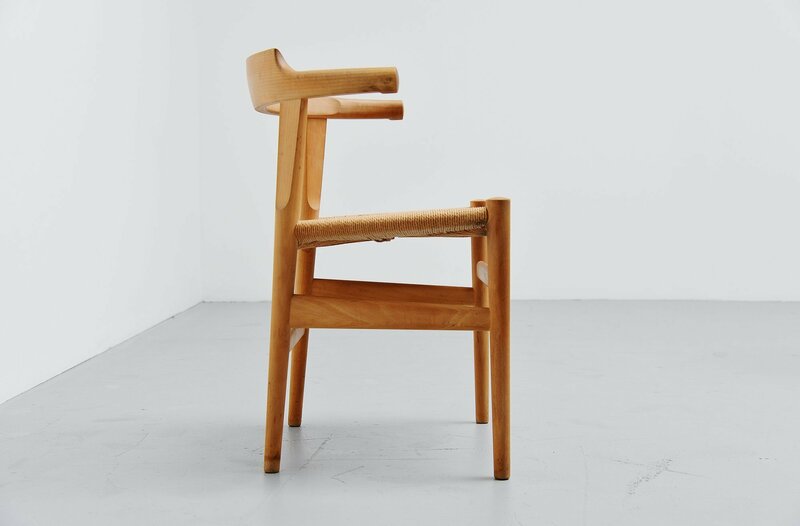 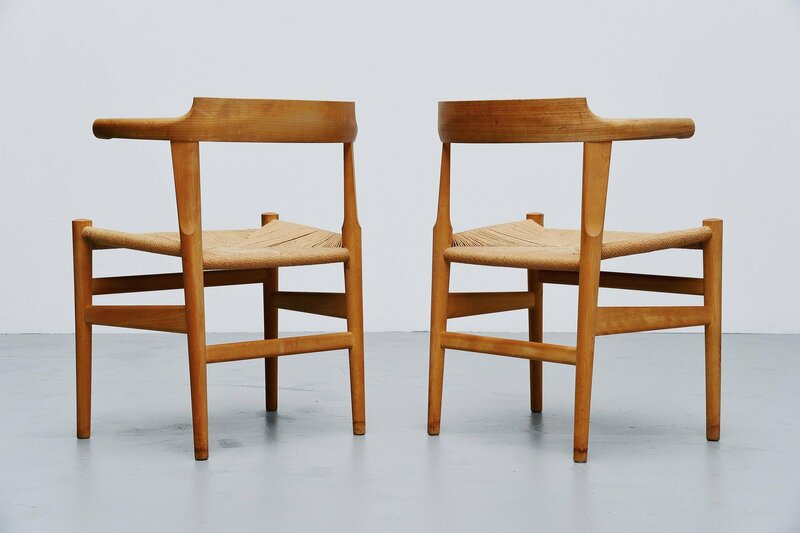 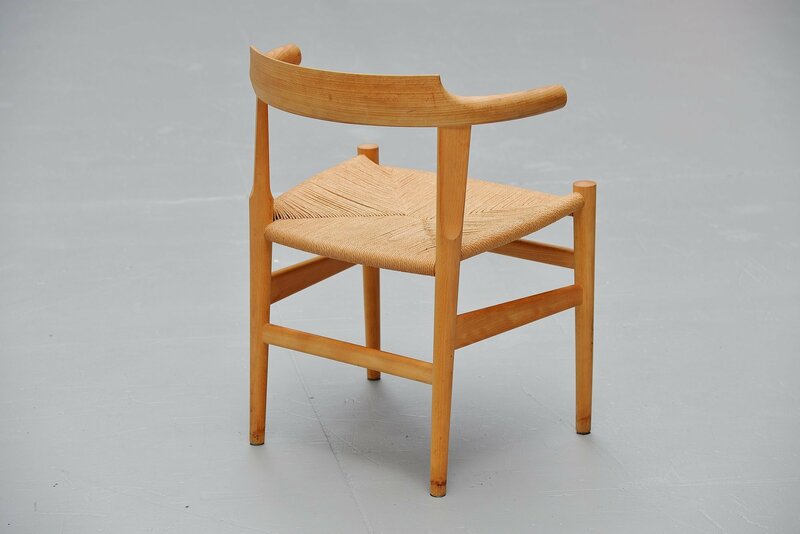 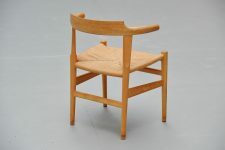 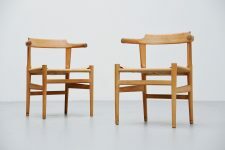 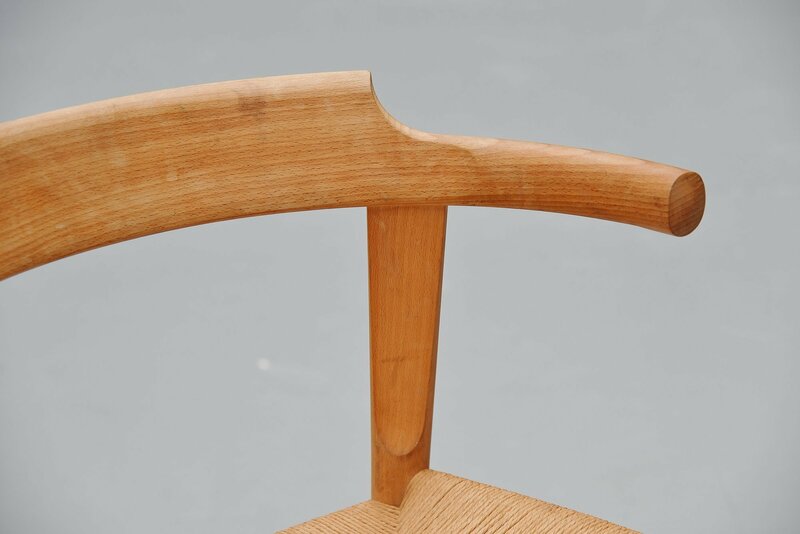 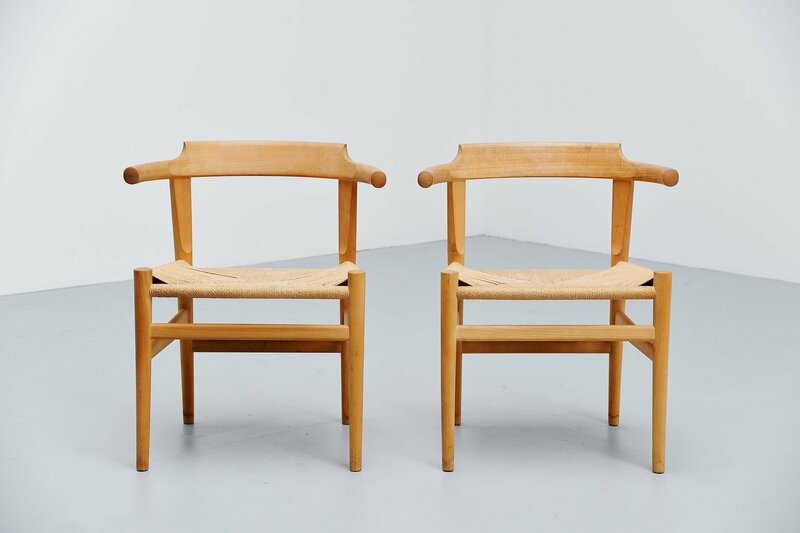 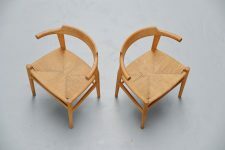 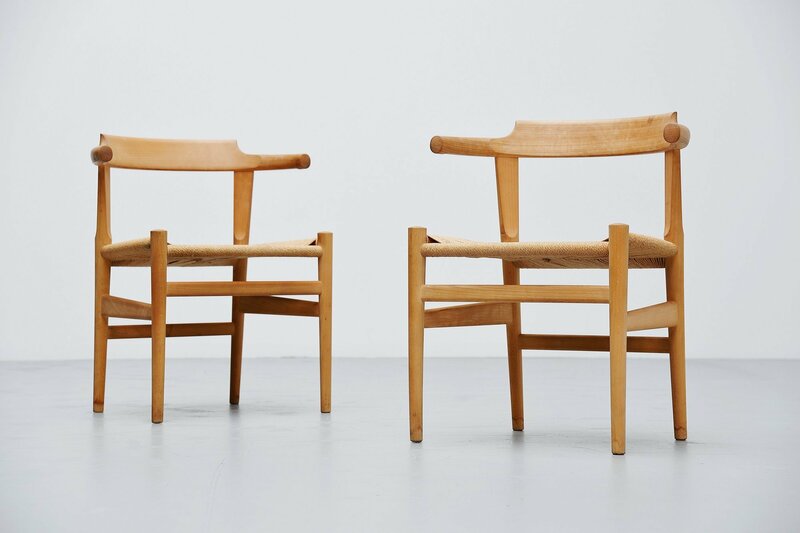 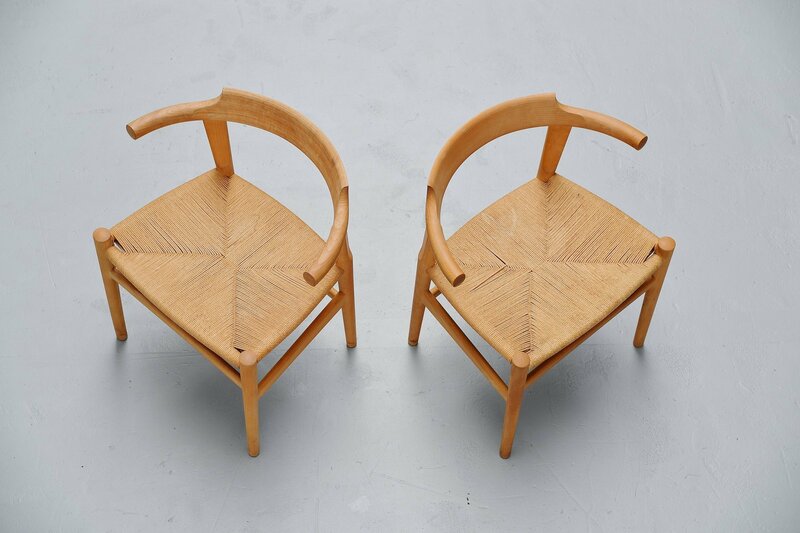 Pair of elbow chairs model PP68 designed by Hans J. Wegner for PP Møbler, Denmark 1987. 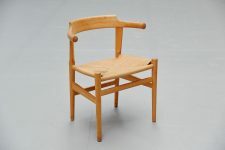 The chairs are made of solid oak wood and have a papercord seat. 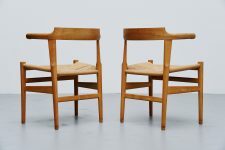 The chairs are in original condition, have some wear from age and usage at the legs. 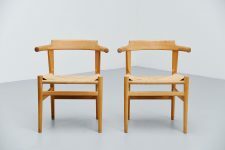 Very rare chairs designed by Wegner. Chairs have typical Wegnerian shape and design.